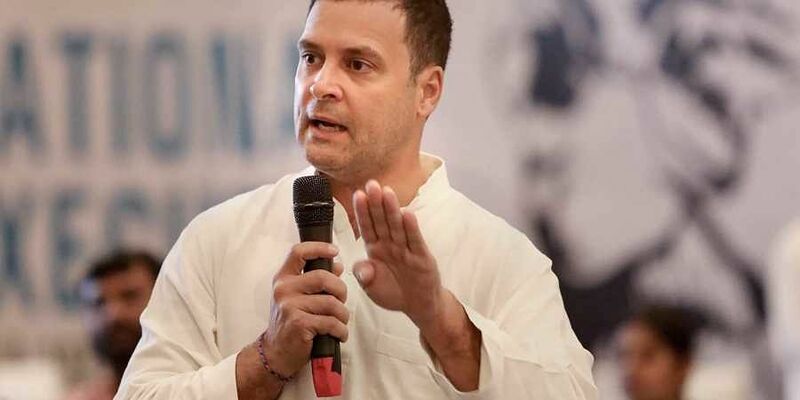 Taking to Twitter, party chief Rahul Gandhi alleged that work has begun to justify the Prime Minister's decision to buy Rafale fighter aircraft. NEW DELHI: The Congress on Wednesday accused the Modi government of "manipulating" the process of Rafale fighter jet agreement by "punishing" bureaucrats who raised objections to the deal and rewarding "obliging officials", as Rahul Gandhi raised questions on Defence Minister Nirmala Sitharaman's France visit. "The Supreme Court has asked for the RAFALE decision making process. It's quite simple really. The PM decided." "The processes to justify his decision are yet to be invented. But work has begun." "Ps. In this connection, Raksha Mantri is leaving for France tonight," he said. Defence Minister Sitharaman leaves for France tonight on a three-day visit, which comes in the backdrop of a big controversy over the purchase of 36 Rafale jets from French aerospace major Dassault Aviation. With the Congress reiterating its demand for a joint parliamentary committee (JPC) probe, party spokesperson S Jaipal Reddy alleged that the Government's silence on the questions raised by his party indicates that it is "guilty". Reddy alleged that in 2016, the then joint secretary was overruled by the Director-General acquisition for the go-ahead to the deal, after a new officer was brought in the post, in place of the person who had the reputation of being unbending. He said the officer had also objected to the price of the aircraft on the ground that 126 aircraft worked out to be cheaper than 36 aircrafts. The Congress leader said the officer also made another objection on the chance not being given to Eurofighter or about Eurofighter's offer not seized upon to compel the Dassault Company to reduce its own price. "This government, in this case bullied officers, punished officers, threatened them, promoted some who obliged. This process was vitiated by arm twisting. This entire process is invalid morally, in my view legally too, but to get all these things out only JPC can do justice. And that is our standing demand," he told reporters. "Such a thing has not happened in the history of independent India," Reddy alleged, claiming that "obliging officers" were "rewarded" later. Asked about the Supreme Court seeking details of the deal process, he said the apex court is going into the matter on its own. "We have nothing to do with the petition. We are not in Supreme Court. We are not lending any support to the petitioner," he said, adding that it is a litigation between an independent citizen and the Supreme Court and it should not be confused with the effort of the Congress party. Reddy said a JPC can look into many more things, but the Supreme Court does its duty. On other parties not lending support to the Congress on Rafale, Reddy said, "We are for pursuing the truth behind Rafale scam. As we go along, with other friends have their own nuanced positions, we can't deny the liberty of different shades of opinion." The Congress leader said each party has its own stand and "We can't have an alliance on every issue; we will have an alliance in elections. It is a part of the political process. How can there be alliance on every issue." On Defence Minister's visit to France, Reddy said after she comes back, "one only hopes she becomes more transparent than she has been". The Congress leader alleged that the whole process has been "topsy-turvy", as defence deals of this magnitude, are first examined by the department, approved by the Cabinet Committee on Security, and then they are entered into by the Prime Minister. "Even the Prime Minister is not a monarch. He is accountable to so many institutions," he said adding that in the instant case, the procedure was that the Defence Department was to look into the deal. "The Government has not chosen to break its silence. The Prime Minister has not chosen to break his silence. They can't break silence because, if they break silence, they will get into a morass. With a view to avoiding this morass, see, they are maintaining silence. This silence is guilty, it is obvious," he said. Congress spokesperson Priyanka Chaturvedi said, "We are expecting them to come forward, come clean and ensure a JPC is constituted as soon as possible, so that, all terms of negotiations and the changes in the terms of engagement on the Rafale Deal are brought forward." She said every elected representative is answerable to the highest court of the land, which are the people of this country in the democracy. The government and Reliance Defence have dismissed all the allegations as false. Modi had announced the procurement of 36 Rafale fighters after holding talks with Hollande on April 10, 2015, in Paris.